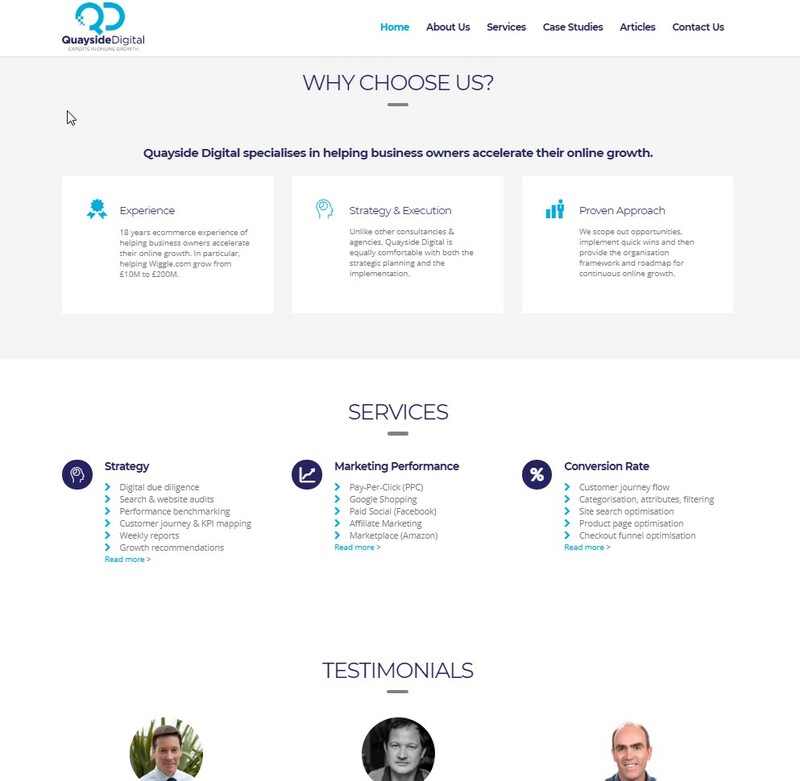 Mondo were proud to be asked to work on the branding and a new website for Quayside Digital. 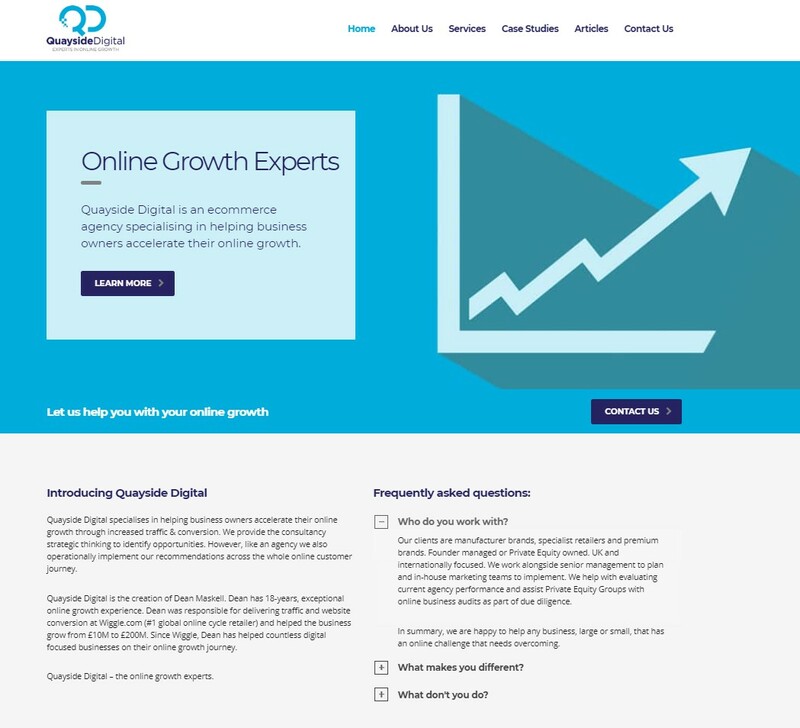 Mondo had previously partnered with the experts in online growth on a number of joint projects. The logo needed to look professional, modern and trustworthy but also convey the friendly and approachable nature that clients can expect to receive. 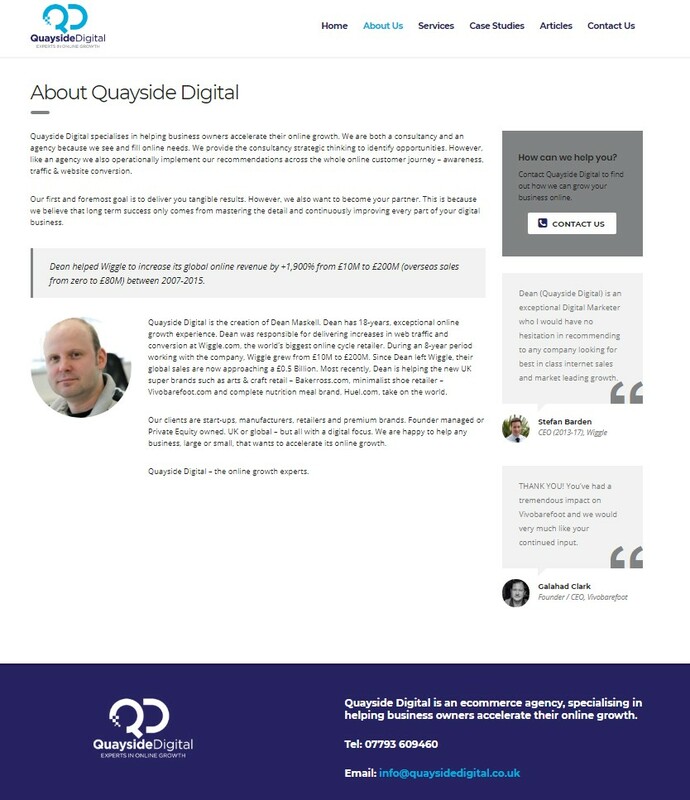 This branding was then used to lead the design and build of the Quayside Digital website. Here the brief was to present a range of information from services on offer, case studies, client testimonials and useful news articles in and easy-to-read and straightforward manner.